When moving a house or office from London to Oxford, there are a number of things you can do to prepare for a quick and affordable move. Working closely with a professional removals service to Oxford can drastically improve your move by saving you money and time. A professional man and van service like Moving Service, has years of expertise in moving both houses and offices. We have experienced all sorts of moves and we know how best to prepare for yours. We can offer you customized packing and transportation offers for your move to Oxford that accommodate your precise needs. This way, you don’t pay for extra service you don’t need. We always advise customers to plan their house or office removal soon as possible so that everything is prepared for before hand and during move in day, there is no stress or chaos. When you move with us, you can expect a number of different services such as packing, wrapping, storage, transportation and unloading assistance. We offer you a full-service moving package because we understand that each stage of the process is difficult and having a little professional assistance can save you time and money when moving to Oxford. Our rates are extremely competitively priced and you can trust us to move any large or small object. We can easily move larger items like pianos or mattresses down stairwells or tight corridors. Call us today at 020 8746 4402 to speak with a trained sales representative and learn more about our service options. We will provide you will a free estimate over the phone, so you know exactly how much you will expect to pay with us. When you work with us, there are never any hidden fees, just honest and reliable service. Oxford is a city in the county town of Oxfordshire. It has a population of approximately 165,000 people and is known for Oxford University, the oldest University in the English-speaking world. 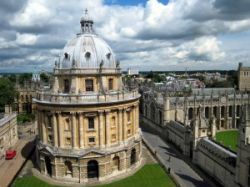 Because of the presence of Oxford University, Oxford has a largely student demographic; there are many young people and it is highly diverse. Oxford was first settled in the Saxon times and has had a rich history since then. 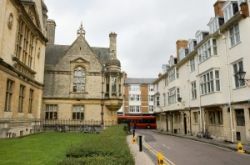 Today, Oxford is one of the most ethnically diverse mall cities in all of England and it has a cosmopolitan character due to the influx of students. The city centre is a major landmark and it has many shops, theatres and an ice rink. The Bodleian Library, Christ Church Cathedral and Modern Art Oxford are also tourist attractions and landmarks. Oxford is known for its prevalence of green space and parks, including the University Parks, Lye Valley and Port Meadow. It offers great transportation links via coach, rail, river and canal. For an affordable and reliable moving service to Oxford, then call us today at 020 8746 4402. We can offer you a range of different service options to customize your moving service with us. We understand that moving house or office is a big event and one that has to be planned out early. When you work with us on your Oxford removal, we can make a plan that fits your busy schedule so you are not inconvenienced. All of our staff is fully expert trained and our service is flexible and reliable. Customer satisfaction is our priority. A do-it-yourself service can add a lot of stress and take a lot of time if you not quite sure what you are doing. Working with a professional moving company for your home or office move to Oxford will save you time and money, so contact Moving Service today and see how we can help.